I found it to be too cold and the service to be somewhat awkward. My husband's dish was yummy but mine was bland and not so impressive. The ambiance is the best part and the art. Muy agradable ambiente. Elegante, tranquilo y loa alimentos y el servicio excelentes. Service was ok. Our server was gossiping on us because we asked for another chair to put on our bags. My friend was walking pass by and overheard their conversation. We are not trying to be rude but Because The table was so small since we ordered 4 appertizers, 4 cocktails (were serving 2 at a time) 2 entree. The setting is elegant and stunning, the quiet is rare and much-valued, the service and general attitude are warm and welcoming and the food is very good, but a bit staid. Definitely worth trying! 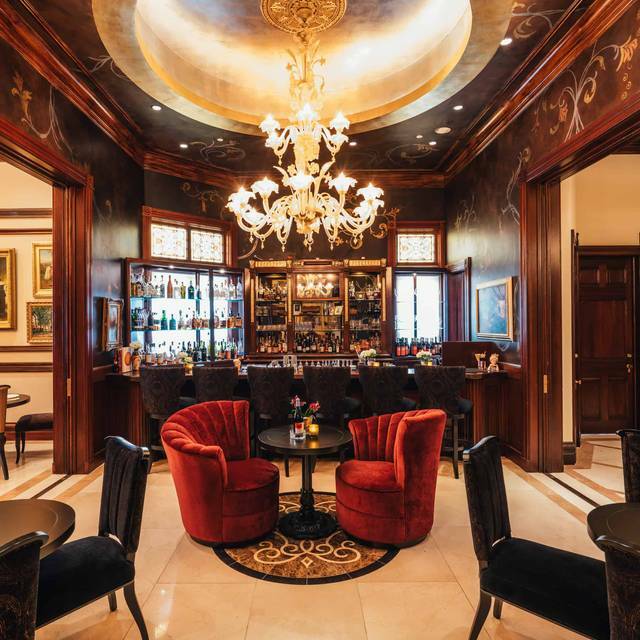 Classic food, creative cocktails, impeccable service, and an elegant and comfortable venue. Our evening at The 1881 was amazing! The food was delicious, the presentation was truly a work of art, the service outstanding and the decor, absolutely stunning! Definitely would go back. What a wonderful experience. This recently renovated property is a true San Francisco gem. The dining rooms are aesthetically pleasing, the service outstanding, cocktails superb, and I have never had better pheasant. Amazing atmosphere. 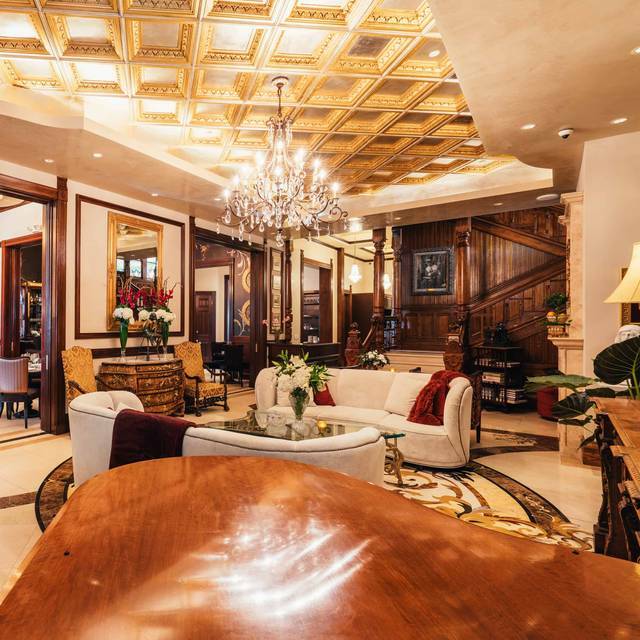 We truly felt transported to another era with the grand entryway, ornate decor and piano player. Slightly disappointed by the TV in the bar, but willing to overlook. Food was excellent, service was stellar. Will definitely be back! Service was good, but slightly rushed. Disappointed in the food. Beef tartar was extremely acidic. Too much lemon. Warm crab appetizer had more potatoes than crab. Salmon was very nice. Thought it was more expensive than it should be. There were 4 of us. We ordered (2) $100 bottles of wine, plus we all had 1 cocktail each, plus dinner. Total bill was $800 with tip. All the pieces are there, I love the Victorian experience, but feel it could be an all-around better experience. Until it improves, I would recommend 1881 to friends who want to have a drink at the bar in a lovely environment. I’m becoming a regular here, as it has an air about it that seems like a British club. The atmosphere is impeccable, and one of the few places in SF with decent pheasant or lamb. Svetlana, our waitress, lent a theatrical air to the space that fused the elements into a harmonic charm. Exceptional food; lovely, comfortable, elegant setting; impeccable service. Absolutely amazing service and attention to our needs. Bartender made such unique drinks and was wonderful to converse with. Food was phenomenal and they have redone the mansion on Sutter in amazing style. Would absolutely go back! 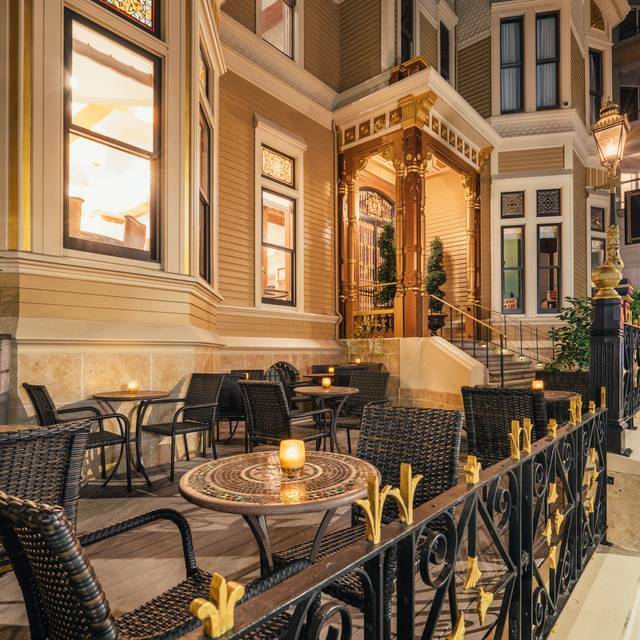 1881 is part of the newly renovated hotel. The current owners refurbished the hotel back to its original feel of the late 1800’s. The Victoria mansion provides a nice backdrop for a romantic setting. Several websites list this property as a most romantic spot. We concur. Walking down the staircase to dinner was a nice experience. Food is largely French and all delicately prepared. We shared several appetizers and an entreé. The staff brought these out as courses for us. Will definitely come back! One of my favorite now! The food and service were sublime. They also acknowledged my anniversary with a nice desert plate. The decor is lovely as well. We celebrate two very special birthdays for guests who "have everything". We experienced a profoundly enjoyable meal, superb cuisine and first rate service. I recommend starting the evening with one of their specialty cocktails (I had the 1881) and melting into any one of the super comfy sofas or chairs. If you want to know what it might have been like in the elegant grand old days do yourself and a special loved one the favor of coming here. My wife and I are already counting down the months to our anniversary. Good food. The smoked trout literally smokes :) the duck breast is very good too. Service overall is detailed and meant well, a couple of misses like having to ask for additional bread multiple times. The water wasn’t refilled even after asking. These are the little details that matters. And they keep trying to clear the plates even when guest is still eating, literally fork is in hand. Please stop doing that. However we booked this place because the noise level is meant to be quiet. And it does not disappoint. We can actually talk. There’s plenty of space between tables, so plenty of privacy as well. This can be a great place if not for the couple of easily fixable service issues. The service at the door was perfect. The bartender did his best, many of the beers were sold out unfortunately. The service in restaurant was not good: the waiters didnt pay attention, didnt memorize who ordered what, BUT the men who clean the tables were perfect! The food wasnt good either: the charcuterie platter had ice cold chuncks of meat, the duck mousse was covered in other meat. The main dish with crab was SUPER spicy, the steak was very salty. The bottle of wine we ordered was, again, sold out.. The food here was wonderful, and the Victorian decor is cozy and quaint. The staff were also quite gracious and attentive, but there were some time lags between ordering , receiving appetizers and the main entree that seemed unnecessary. The prices are a smidgeon high for what you get as well. That said, the meal was top notch and we enjoyed the space. Beautiful resturant and the service was amazing. It was very expensive. More than you need to spend for a special dinner. (We know since we are foodies and go out every weekend somewhere wonderful). We will not return only because it is unnecessary to spend that much. Exceptional service, fantastic ambience, delicious food. Highly recommended. We will be back! Some of the rudest, most unprofessional and unhelpful staff I have encountered in a long time and certainly unexpected at an establishment of this history, prestige and price! Even though the food was quite good, it was near impossible to recover from the shock of the bad hospitality. This was our second time here since the restaurant opened in January. The place is impeccable on all levels. I'd highly recommend for a lovely evening out. Every aspect of this dining experience was impeccable. 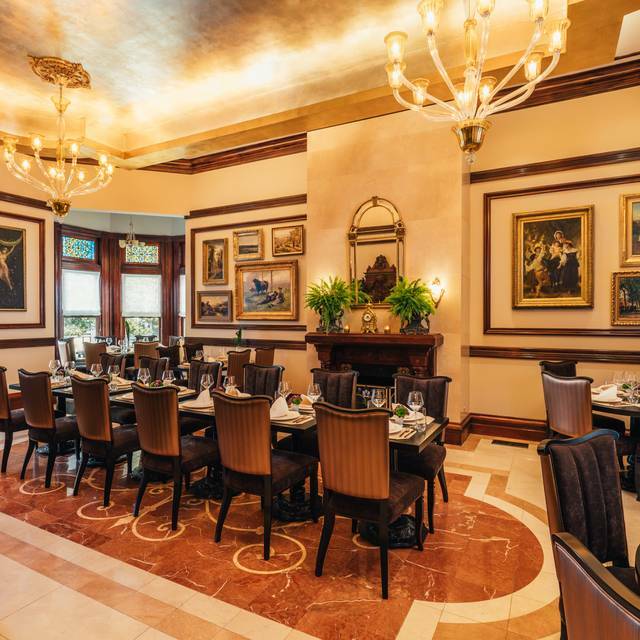 Gracious service, elevated cuisine, and a beautiful historic setting. I have never written a review on a restaurant but am feeling compelled. 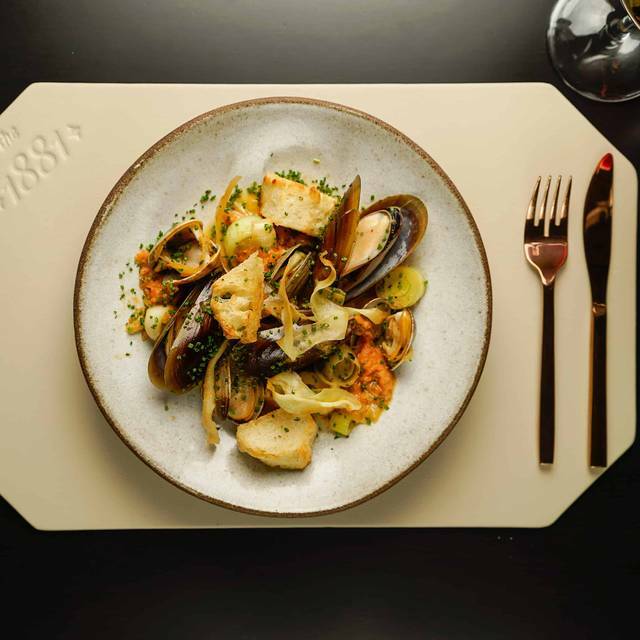 The 1881 is a hidden gem in San Francisco. I have been coming to San Fran on business for decades and am so glad I found this restaurant. Ambiance, service, and the quality, along with the preparation, presentation, and taste of the food was outstanding. Absolutely incredible experience! Terrific spot for special occasions. Not inexpensive but you won't regret going. Creative cocktail program, impeccable food (get the smoked trout! ), great service, and a relaxing ambiance. I was excited to try this new place based on the sheer ambition of the owners. As a former Londoner, I appreciate any attempt to bring fine dining and ennobled environment to San Francisco. The 1881 delivers on expectations. 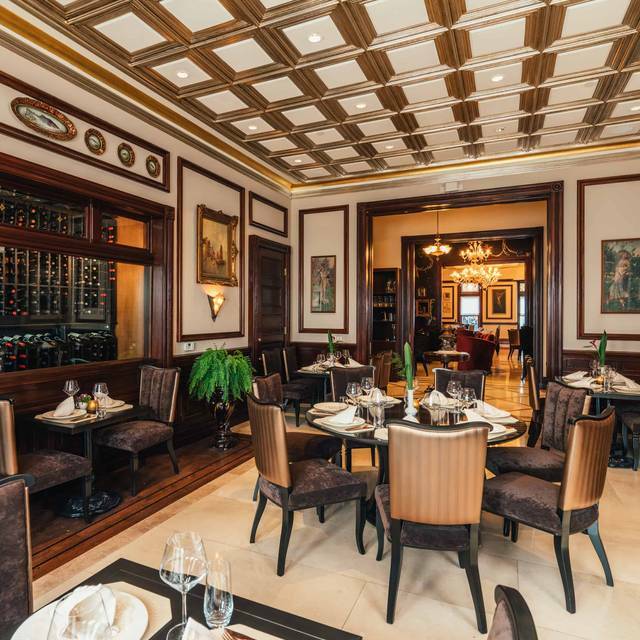 The interior of the building is brilliantly restored to its former glory, and the various dining rooms exude unique personalities—including an original collection of Salvador Dali drawings. It makes sense that the original owner of the building was an industrialist that wildly benefited from the Gold Rush, as the details are simply lavish. Sergio was a fantastic host, and the magnificent food was served promptly, hot, and expertly crafted. The menu selection was also smart, including pheasant and Wagyu ribeye. Personally, I thought the oysters with a surprising dash of caviar was the best plate of the evening. Overall, I truly enjoy this place, and I hope others in San Francisco discover it—because it would be good for the city to attract this level of talent. Thank you Pierre and Sergio for a phenomenally rendered experience. 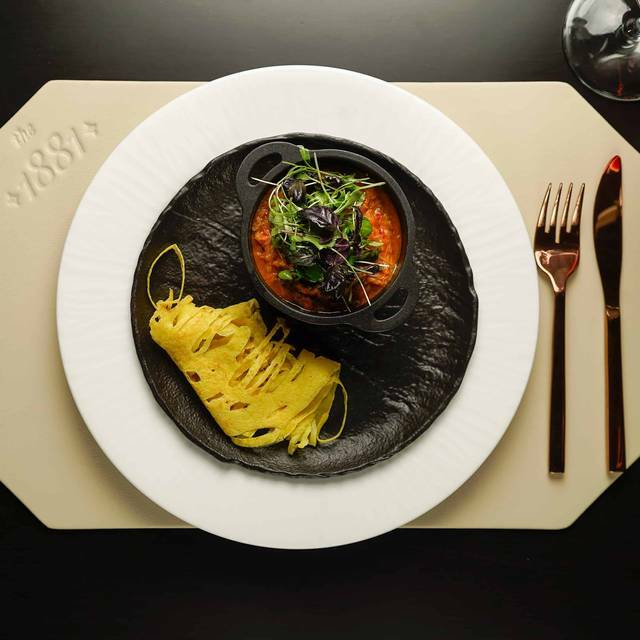 The 1881 is an elegant new restaurant near our home. The many staff members know how to do their jobs and say the right things. Unfortunately there are long wait times between courses — even at the beginning when ordering a cocktail. We dined at 6 pm on a Sunday and there were relatively few diners at the beginning. After the excellent amuse-Bouche we enjoyed local oysters to start. My pheasant with mushrooms was moist and delicious. My husband was not as happy with his crab dish. The food is very good and the staff are trying hard to please — perhaps trying a little too hard. If only the kitchen would speed up its act, we would probably return. The ambiance was great for an evening dinner with my parents. The hotel/restaurant is beautiful and not a single person was on their phone, something I love at a nice restaurant. Staffing seemed a tidbit light but everyone was working hard. The bar had one tv that was clearly high quality but in black and white which was a great touch and gave the feel of an older place, but allowed us to keep in touch with the NBA game. Food was great for the most part (their bread is made in-house as well). But the waitress recommendations were spot on for us. The ones she did not specifically recommend, while still good, were not quite as good. The smoked trout, the duck, the pheasant, and the Wagyu beef were all fantastic. No one at the table ordered fish or vegetable entrees. The Apple Galette was also amazing! I’d recommend you check this place out for a nice quaint/quieter dinner. Excellent restaurant, however some tables were a bit too close together. The layout could be changed a bit. My fork was also dirty for one of the courses, but was promptly replaced with an exceptionally clean fork upon asking. The price was actually quite steep for the amount of food served, especially on Valentine's day. I did leave full, but not heartily full. Overall, very nice. Really nice ambiance and food! Recommend to visit this restaurant. Karina was wonderful! Excellent ambiance! 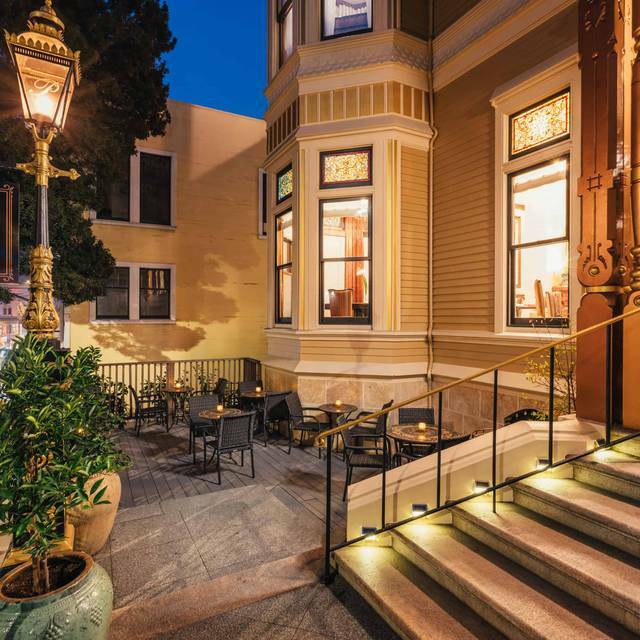 Beautiful boutique hotel restaurant located in an historic mansion on the edge of Pacific Heights. The staff were abundant, competent and attentive at every turn. It was difficult to watch them struggle with whatever issues are going on in the kitchen and management in general. We started with The Alienist, which is the house Gin and Tonic. It was very well done craft cocktail. There was no wine list...nothing. But, on the cocktail menu there are a few wines listed by the glass. The waiter did let us know that we could request any type of wine we requested. We ordered a bottle of chablis with my stated budget of 100.00. It arrived at room temperature. The waiter apologized and put it on ice, offering us complimentary Sav Blanc while it was chilling. We were offered an amuse bouche of duck confit in pastry, which was lovely. Next came the Wagyu Beef Tartar. It was delicious, but the accompanying tarot chips were oily and slightly limp. The harissa roasted root vegetables with pistachio "whip" was a real winner. Deep delicious flavors for a rainy winter evening. Our entrees (Scallop and Black Cod) arrived warmish, which is a shame as the flavors and textures were delightful. We were headed to a birthday party so we did not order desert. As bad as this may sound, it's a new restaurant, with a great wait staff, in a beautiful space and the food hints at greatness. We have decided to go back and try it again in a couple months. All the elements are there, they just need to refine their processes. I would expect that the service will get a little smoother every day...and we will recommend this to our friends. Thank you for your feedback. We opened about two months ago and we are always looking for improvement. We would like to let know that we just launched a new wine list of 16 pages and we also have a Sommelier available. Also, our desserts are all made from scratch from our talented Pastry Chef, hopefully you can try some of them next time. We are looking forward to seeing you again in a couple of months! 1881 is a beautiful restaurant, perhaps one of the most beautiful in SF. 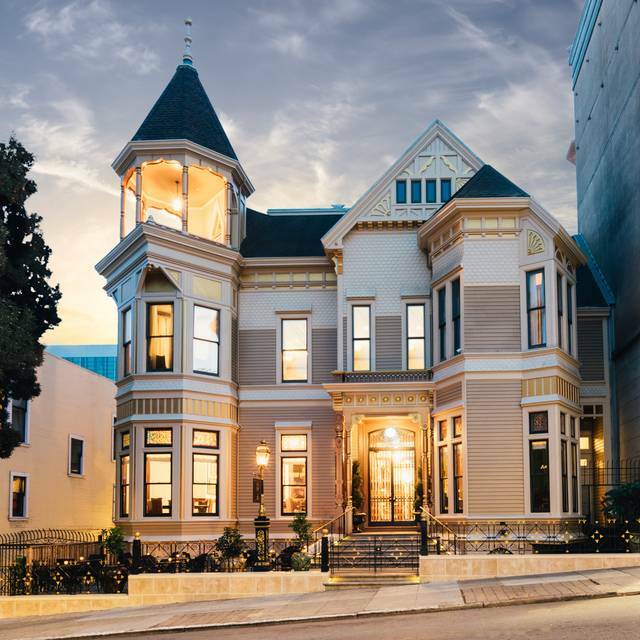 It's a converted mansion on Sutter St. If you walk the sidewalk, you can easily miss the restaurant, but there is a small sign showing 1881. 1881 is the year the mansion was built. And now it's converted to a hotel with two stories and a large dining area of several rooms. It's beautiful inside with tall ceilings and elegant, Victorian styling. And the food is great! We started with the six oysters. These were large, perhaps the largest we've seen. They only serve it with lemon, but they put something on the oysters. They were delicious. Then we had the wagyu beef tartar, which is served with bread, and it was super delicious. The small chunks of beef on the bread was just delicious. No morsel of meat was left uneaten. The smoked trout is a dish not to be missed. It's served in a smoking bowl. They they remove the cover and the smokey flavor is wonderful. And the taste of the smoked trout is perfect. Oh, that's a really unique dish! The mushroom risoto which was obviously cooked with butter and wine was superb! Our entrees was great with the black cod and duck breast. These are some delicious dishes! And they serve wine by the glass from their own winery in Santa Barbara, which is also top quality. Overall, the food and ambiance at 1881 is wonderful. I look forward to going back for seconds! Amazing new location in San Francisco, very classy, delicious food & fun wine list. Strongly recommend it!